A blend between a sports cruiser with the advantages of a fly-bridge. 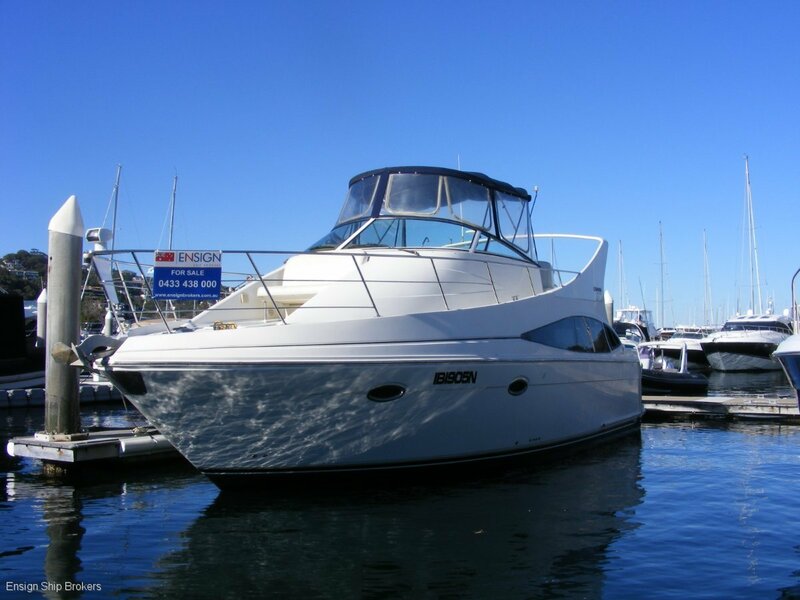 Spacious with added luxury that offers lots of features that will make your trips on the water a real pleasure. The stand out feature is the saloon. L-shaped lounge that allows you to relax with an added dinette located on the starboard side of the salon. The cherry wood table can be dropped down for additional sleeping berth. In the galley located on the starboard side of the boat you will find an abundant amount of storage and a full size fridge. Queen-sized berth with two steps on either side for easy access. A deck hatch allows fresh air and sunlight to fill the room. With a roomy cockpit and a bridge built for entertainment, the Carver 36 Mariner is designed for extended trips away. •	On the marina at Ensign Sydney.